A young woman sorts coffee at the Coffee Washing Station at Musasa, Northern Province, Rwanda. Women have always cultivated the coffee. Now they’re getting paid. In Niger, women can’t open bank accounts without their husband’s permission. In Bolivia, women have to get approval from a husband, father, or authority before getting a job. In Ghana, inheritance rights mean that land more often than not goes to men, rather than women. In El Salvador, women who get divorced generally see joint assets go to their husbands. All around the world, laws reinforce cultural values to make it hard for women to be financially independent. Gradually, however, these sexist laws are being dismantled. Dozens of countries, from Saudi Arabia to Kenya to Jamaica, are getting rid of laws that make women second-class citizens, according to a global analysis by the World Bank, and women who had once been stifled are now building careers and businesses. Women everywhere are banding together to demand equal rights and opportunities. And in some parts of the world, an unlikely focal point for this revolution of rights is the humble coffee bean. Before coffee is roasted, ground, and brewed — before it gets whipped into pumpkin spice lattes or poured over ice — it goes through at least a dozen stages in a sprawling global supply chain. Seed planters, bean sorters, millers, and exporters are just some of the roles performed in a system that encompases more than 25 million coffee small-scale farmers, and which generates hundreds of billions of dollars in revenue each year. In the world’s major coffee-producing countries, women do the bulk of the manual labor, accounting for up to 70% of the labor force. The closer coffee gets to its final destination, when cultivation gives way to bargaining, the less women are allowed to participate, meaning the less income they receive from overall sales. “They’re rarely involved from the negotiation standpoint for how much the coffee is sold for,” said Kellem Agnew Emanuele, vice president of strategic development at the International Women’s Coffee Alliance (IWCA), told Global Citizen. In fact, women are systematically denied opportunity every step of the way, according to IWCA. They’re prevented from owning land, opening bank accounts, forming collectives, bartering with buyers, attending training sessions, acquiring knowledge, and much more. In Bhutan, Congo, Pakistan, and Suriname, women can’t start businesses. In Congo and Guinea, women can’t sign contracts, and in Congo and Niger, women are barred from opening bank accounts. These economic barriers make it hard for women to gain financial independence. In 18 countries, women aren’t allowed to get jobs without first getting permission, which pushes many women to informal economy jobs where they can be exploited. In 32 countries women can’t get a passport, making it hard for entrepreneurs to expand across borders. Then there are the countless cultural barriers that keep women from accessing economic opportunity, according to IWCA. These include stigmas against women owning land, owning agricultural products, engaging in trade, negotiating, attending training seminars, applying for credit and loans, and more. These barriers, driven by local customs or sexist laws, have the cumulative effect of reinforcing poverty, making it harder for women to buy food, access health care, and get an education. Global Citizen campaigns on helping female farmers gain rights and financial independence. You can take action on this issue here. The UN’s Food and Agricultural Organization determined that if women had the same access to resources like land and credit as men, global malnutrition would fall by 12%, agricultural output would rise by up to 4%, and global GDP would rise by $28 trillion. Gendered barriers also tie into the growing threat of climate change, which threatens to cut global coffee production in half by 2050. As the workers most closely involved in growing coffee, women know about the ecological demands of coffee and with greater resources could improve the crop’s viability, according to Conservation International, a group that promotes sustainability. “It’s getting harder and harder for small scale producers to eke out an existence just on coffee with climate change,” said Bambi Semroc, senior strategic advisor for Conservation International's Center for Environmental Leadership in Business. “Climate change increases the temperature on a coffee farm and wreaks havoc on precipitation patterns. 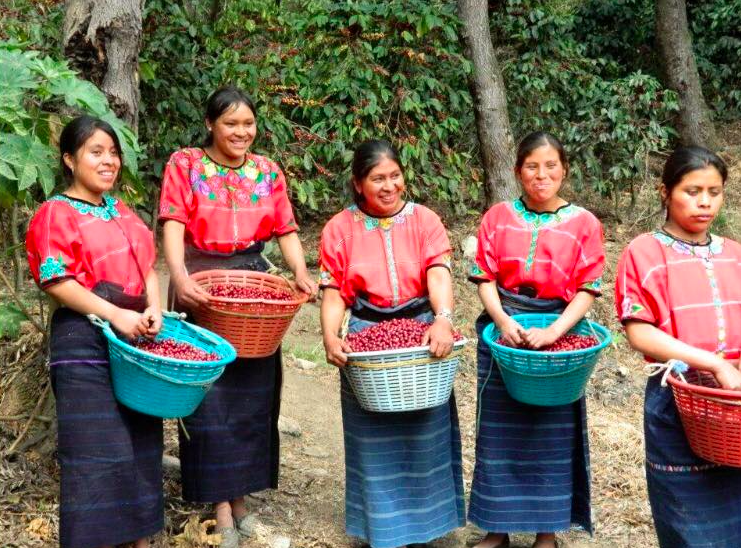 “Drought, flood, ice — all of that makes it hard to have a good harvest of coffee,” she added. Yet as the environment changes, so, too are political and cultural climates. In recent years, global networks like IWCA, along with public and private partnerships, have helped women access more opportunities in the coffee industry. For example, Bloomberg Philanthropies recently invested $10 million in Rwanda and Congo to help women farmers develop business plans, gain access to markets, and become better negotiators. Globally, changing the coffee industry from the ground-up is a slow effort, but it’s bringing concrete benefits to women. IWCA, for example, is an entirely volunteer-run, donation-based organization that depends on continual support from groups and people interested in advancing women's empowerment in the coffee industry. Through donations, IWCA is able to host global conferences for female farmers and coffee sellers and to advocate on their behalf. Since 2004, IWCA chapters in more than 22 countries have been formed. Each chapter has its own priorities and functions, but they all share the core mission of breaking into an industry that has traditionally left them behind. There’s also pressure from the consumer side, where there’s demand for initiatives that empower women farmers and traders. In fact, profitable ethical and sustainable certifications like Rainforest Alliance and Fair Trade are being used as a model for women’s inclusion. Instead, of getting a seal for sustainability or ethical working conditions, there are now demands for seals connoting women’s empowerment. This is further enabled by IWCA’s relationships with the two largest coffee trade associations — the Speciality Coffee Association and the National Coffee Association. IWCA told Global Citizen that chapters in both Burundi and El Salvador have been able to get their coffee to market because of stipulations made by the global branch. In Burundi, for instance, husbands have to let women join the family bank account, allowing them to receive and manage income, before they can sell to buyers who want IWCA coffee. Blue Bottle coffee is currently selling coffee purchased from the Burundi Kinyovu Station, an IWCA chapter. The female farmers are able to earn a much higher income than other coffee farmers in the country, gain credit, and prioritize sustainable farming methods. In El Salvador, women must have access to leadership seats in larger coffee cooperatives that bargain with buyers before the IWCA stamp is given. A grassroots organization called Asomobi in Costa Rica is an all-in-one ecotourism, conservation, and agricultural group comprised of 37 women. They grow, mill, and roast their own coffee beans, generating income for women and helping the local community. These might seem like small steps, but they’re having a transformative effect, chipping away at barriers that once seemed insurmountable. As women gain more opportunities in these markets, they’re able to advocate on behalf of other women and promote gender equality. "It's a new day for Rwanda," an IWCA member named Immy Kamarade, who runs a cooperative of 100 women, told NPR. “Today a woman owns land like her husband and signs on the land title, and a woman has a right to open a [banking] account." In Ethiopia, an IWCA chapter recently earned recognition as a legal entity, after years of being blocked by the government. Now they’re able to apply for loans and sell their coffee formally. “While that doesn’t make for flashy statistics, it’s monumental and demonstrates not only the importance of women being recognized and organized, but also the dedication and the drive of people knowing their own country, where to push and where there’s value in doing that,” said Emanuele of IWCA. 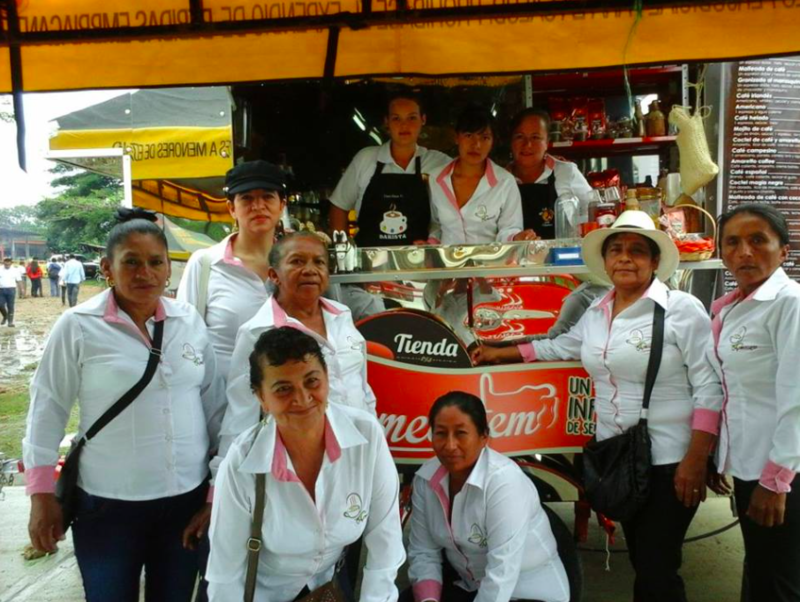 As these women find opportunities in the world of coffee, they’re looking beyond beans and investing in their communities. IWCA said that cooperatives have built schools, daycares, libraries, and hospitals; sponsored entrepreneurship seminars; and conducted research so that future interventions can be better targeted. “The biggest contribution that we have made to the coffee industry is through the organization of women around the globe,” said Jennifer Gallegos, vice president of operations at IWCA. Women typically invest around 90% of their income back into their families and communities, compared to 35% from men, according to the UN. Since coffee is such an in-demand commodity — more than 2.25 billion cups are consumed each day around the world — the potential for the crop to become an engine of women’s empowerment and poverty reduction is huge.